Jenny and her team did an outstanding job marketing and selling our home. We had decided to move out of state some months before listing our house and we knew we needed a top agent. During these months we had noticed that several homes in our area (Covina Highlands) were listed and ultimately sold by Jenny and her team. At least one of the homes had been listed with another agent and had expired with a no sale. About a month later I noticed the house was listed by Jenny and it quickly sold at a similar price to the original listing amount. Based on her local success we knew we had to interview Jenny for our listing. During our listing we quickly learned how skilled Jenny was at dealing with us as sellers and I was most impressed with how adept she was at dealing with the buyer’s agent. She guided us through the transaction and Jenny was always prepared for the next step during escrow. Jenny was very good at negotiating and discussing the options we had before us to get the home closed. She knew when to be firm and also where we could be flexible to keep the transaction moving forward. She always had our best interests first. Jenny and her team always have multiple listings going at any one time and I always felt like she provided the service and communication as if the only listing she had was ours. There is a reason Jenny and her team are consistently ranked as a top performer for Re Max globally and after how she handled our sale I can see why. We could not be happier how Jenny handled our sale. We chose Jenny Xu to represent us in the listing of our home because she is the most successful realtor in the area. From the beginning, she was very involved with us, offering advice on repairs and improvements to make and staging our home for sale. During the sale process, She was always available to answer our questions and helped us to negotiate with the buyer. We were very satisfied with her service and we would wholeheartedly recommend Jenny Xu. Recommendation for my favorite realtor: Jenny Xu. –She was professional, experienced, confident, and extremely competent. It is my pleasure to write a letter of recommendation for my favorite realtor: Jenny Xu. Recently Jenny sold my Covina house in record time, at my asking price. She was professional, experienced, confident, and extremely competent. Jenny took care of all the issues such as coordinating repairs by handymen, staging, termite treatments, etc. Literally, I sat back and enjoyed the “show.’ Jenny made the selling of my home easy with zero stress. She answered all my questions and returned calls right away. As you can see by this note I would never trust anyone but Jenny to sell my house. In the future I plan to sell a luxury Claremont home, and of course Jenny Xu will be my listing agent! Sellers of 19844 E Navilla Pl, Covina, CA 91724. As our Realtor, Jenny not only fulfilled, but exceeded our every expectation to get the job done. We had listed our property in Covina Highlands, CA in the past, but were not successful in getting it sold. When we again decided to list the property, we could not help but notice that Jenny Xu with Remax Realty in La Verne Vern had many “For Sale” signs on properties in our area and all of them subsequently displayed “Sold” signs. When we recently made the decision to move permanently away from the greater Los Angeles area, we knew we would need a Realtor with exceptional experience in actually selling properties—not one just looking for another property to list. After speaking and meeting with Jenny Xu we believed she could get the job done, and she has since not disappointed us, but rather exceeded our expectations! We chose Jenny Xu after having observed her numerous” For Sale” signs on properties in our area, those properties all usually followed shortly thereafter by “Sold” signs. As a Commercial Building Contractor in CA and other states for 35 years and my wife as a Financial Group/large-scale Law Firm Administrator in Los Angeles, we both recognized subsequent to listing our property with Jenny that she is not only a truly exceptional High-End Residential, Commercial and Income Property Realtor in the U.S and Internationally, but a delightful person to know. When we listed our property with Jenny in June of 2018, she told us she felt confident she would sell the property “fast!” Amazingly, she did just that, with an escrow closing date of November 2, 2018. To realize that sale, Jenny re-negotiated with the Buyer on our behalf several times to ensure that we, as well as the Buyer, were happy with the final deal. As our Realtor, Jenny not only fulfilled, but exceeded our every expectation to get the job done. 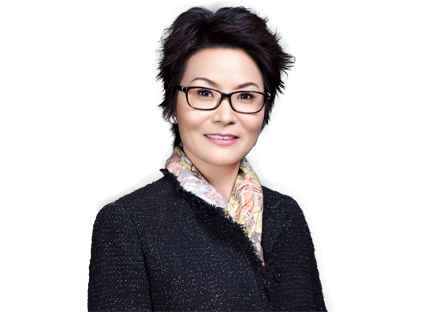 If you are seeking a Realtor with expertise and determination, and who is passionate about fulfilling her clients’ and buyers’ needs, we urge you to engage Jenny Xu as your Realtor. I would be happy to recommend you again to anyone without hesitation. I would like to express my sincerest gratitude for taking such great care of my referral clients and close friends Marc Schaefer & Laura Pascarelli. Your communication with me was always very regular, prompt, thorough, and professional. My friends were very happy with your work for them. You were always available, gave them sound advice all around, conducted effective negations with the buyers, and carried the transaction smoothly through the process and to a timely closing. I would be happy to recommend you again to anyone without hesitation. You were excellent and professional. We appreciate all you have done to sell my home. We have bought and sold enough times, to understand the variations in techniques administered by different realtors. What allows Jenny Xu to shine however, is simply in the manner she conducts herself. Jenny is an astute realtor, who proceeds with confidence, advising us along the way, meanwhile listening and understanding our goals as a seller and as a buyer (Jenny has represented us as both the selling agent as well as the buying agent). Jenny remains calm and confident through every step, excels in her communication skills, and exhibits the strong leadership needed to guide her team effectively and efficiently. (Jenny is cognizant of what it takes to form a winning team, and everyone on her team is highly competent, respectful and respectable). Jenny Xu exudes class, and is very professional, and honest. We will look forward to future business with her, and eagerly recommend her to family and friends. I would like to highly recommend Jenny Xu to any potential home sellers/buyers. Jenny recently helped us with the sale of our home in West Covina, and the experience has been an extremely pleasant one. Jenny is knowledgeable in the market conditions, and uses her knowledge and experience to its fullest extent to assist her clients. She was able to find well-qualified buyers in short period of time and negotiate a good selling price. Another thing that makes Jenny stand out is her responsiveness; she is always able to reply to all of our concerns in a timely manner. This gave us much peace of mind knowing that we could depend on Jenny and her team to be on top of things. I was very satisfied with Jenny’s professionalism, efficiency, and the level of results achieved. I would not hesitate to recommend her as the top choice to anyone looking for a realtor who is competent, dependable, and easy to work with. After living in our Claremont house for 13 years, we decided to relocate to our other home in Camas, Washington. We knew we were in a strong housing market in 2015 and we were looking for a real estate agent who could manage the sale of a multi-million dollar home. I spent about a year observing the sales of homes in our beautiful city and one fact stood out, Jenny Xu sold nearly all the high end home in our immediate neighborhood. On my street alone she was involved in every closing deal that occurred in the prior 12 months. So we hired Jenny. She came to the house and made a great presentation of her qualifications and it was obvious that she knew the high end market. It was clear from the beginning that she was good at attracting buyers and marketing our home. She talked to buyers about the benefits of living in Claremont and ultimately she convinced one of her customers to buy it. In the six months it was on the market, Jenny responded to every one of my text messages within minutes, she replied with equal speed to my email messages, and while she personally answered my phone calls about 95% of the time, if she was busy, she always called me back quickly. She kept me updated on the market conditions, the sales of homes of like size and amenities to mine and she made intelligent recommendations on pricing and marketing. We had a lot of shoppers in the six months and in mid-April we had our sale and we were pleased with the outcome. Jenny worked with the buyer and their real estate agent to close the sale without any problems. Overall Jenny did a remarkable job providing us with outstanding customer service. If you are selling a home in Southern California, I would encourage to use Jenny Xu. Jenny Xu is by far the best real estate agent I have ever known. She has incredible attention to detail, excellent follow-through, and is extremely kind and personable. I would highly recommend her to anyone, and it was a real pleasure working with her.